Colors now contains a powerful node-editor for building structured palettes that can be used to color your scene procedurally. 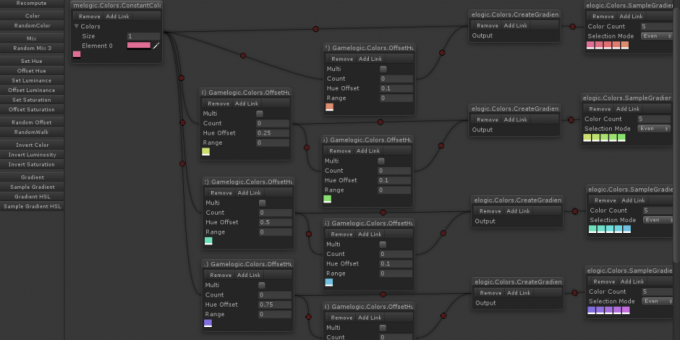 Using the node editor it’s possible to make palettes of conventional harmonies or more complicated pallets. It also ships with graphs for standard color harmonies, including complimentary, analogous, monochromatic, triadic and tetradic color schemes. It gives you the power to generate color groups with relationships you define. Fine-tune coherence and contrast.